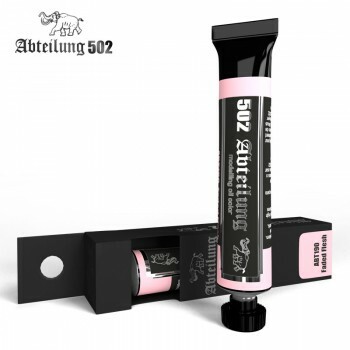 Abteilung 502 Faded Flesh Oil Paint 20mlA colour especially formulated to be used as a light base or to add different tone changes in figure painting process in combination with other flesh tones. It can also be used to create filters for vehicles. It is important to mix several tones when we approach the painting process in order to achieve a more intense and dramatic result.